Obama may have apologised last year for the 1940s US medical experiments that intentionally infected Guatemalans with syphilis, but as this startling report shows, its legacy continues to destroy lives. Soldiers, prostitutes, the mentally ill and even orphaned children; no one was safe from the American government's decision to deliberately infect them with syphilis. The costs are still being felt today in Guatemala as the infected and their descendants, who have inherited the disease, all bear the painful scars of those experiments. 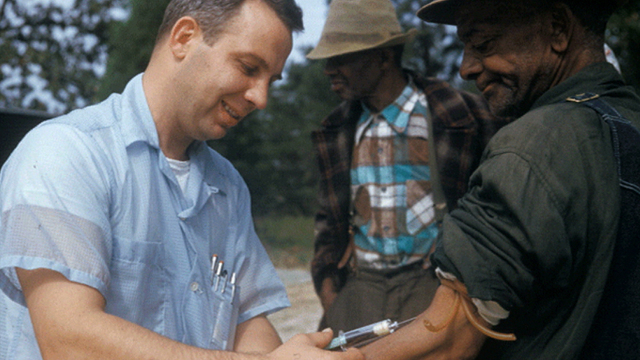 Dr Cutler moved his base when he was banned from practising in the States, after watching the effects of syphilis on African-American men who had no idea they were infected. Treating the disease "would interfere with the study", Cutler said. All are victims of a "serious crime" says the lawyer pressing a lawsuit against the US government on behalf of the Guatemalans. Obama's apology for this atrocity is a start but it isn't enough to mend the ruined lives of the surviving human guinea pigs.